The beginning of a Free Fire match is fun: Almost half of the players cheerfully slaughter each other where they land. The aftermath and the end-game, however, is a different kind of beast. At this point, only the players who know what they are doing are alive and you must switch to a different game style to become the king of the island. 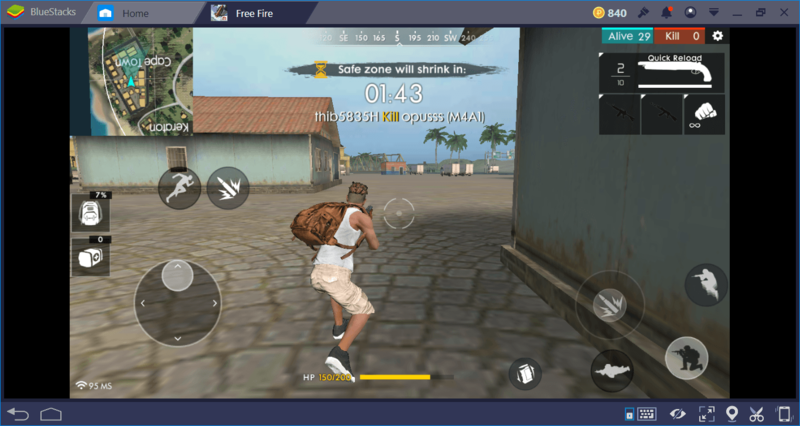 Luckily for you, we are here to guide: This article is about the end-game of Free Fire, where staying alive becomes much harder. Sprinting was fun up to this point but not anymore. A running player is basically a big target: Most of the players already prepared ambushes and by running, you will grab their attention pretty fast. Same goes for the vehicles – do not use vehicles during the end-game. Anything that moves fast can be easily seen by other players. First of all, you should try to stay inside of buildings at all times. Check the outside from the windows and spin the camera to do that, do not move your character. Prone next to a window and by using your mouse, try to see what’s out there. Wait for your opportunity: Sooner or later, you will spot another player. Buildings are the best places to prepare an ambush. This is mostly because the flora of the island is not adequate to hide you. 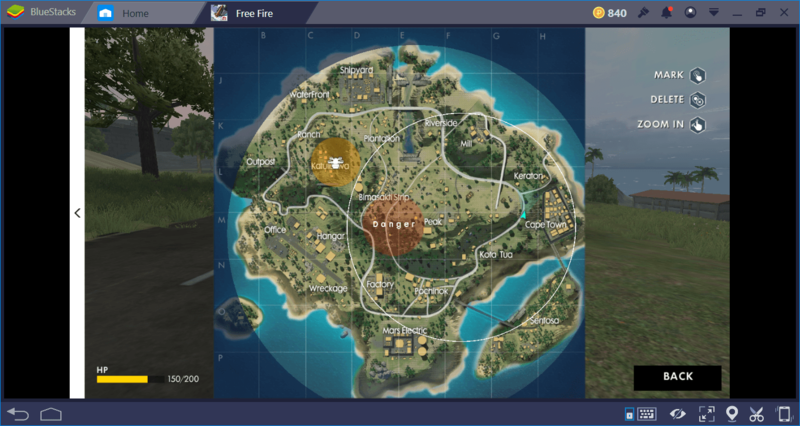 The island of Free Fire looks nice but it seriously lacks vegetation and trees. There are only a couple places that can hide you and all experienced players know about them. So, this is your first tactic: Hide inside the buildings and prepare your ambush in them, not outside. However, you cannot stay in the same building forever: Sooner or later, other players will spot you. Use the tactic of real world ambushers: Change your location constantly, especially after a shooting. While outside, do not run. In fact, going prone will be better. You will be moving slowly, but much harder to spot. Basically, your goal is to move between buildings and try to spot other players. The game will last longer but patience is the key here: The king of the island is a patient one. Humans are greedy and you can use this to your advantage. At this point, you should be carrying more than one weapon and/or armor. In fact, we are pretty sure your backpack is full of loot. It is time to use some of them as bait. 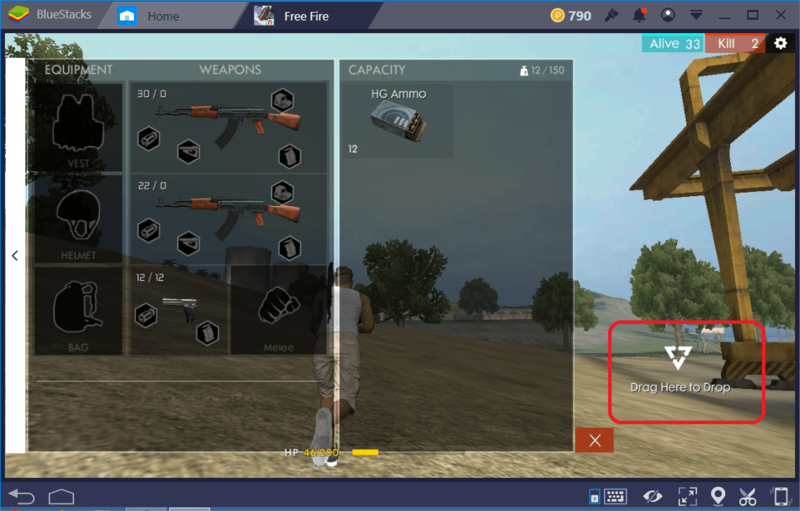 Open your inventory: At the bottom left corner, there is a spot named “drag here to drop”. Leave some of your loot inside the rooms by using this option. Then, switch to another spot from where you can see this spot. This is your ambush: When a greedy player comes to loot, simply kill him. Note that this tactic cannot be used constantly in the same room, so switch places continuously. Being in a building can be dangerous – another player may already be there. So the first thing to do in a building is to clear the rooms. 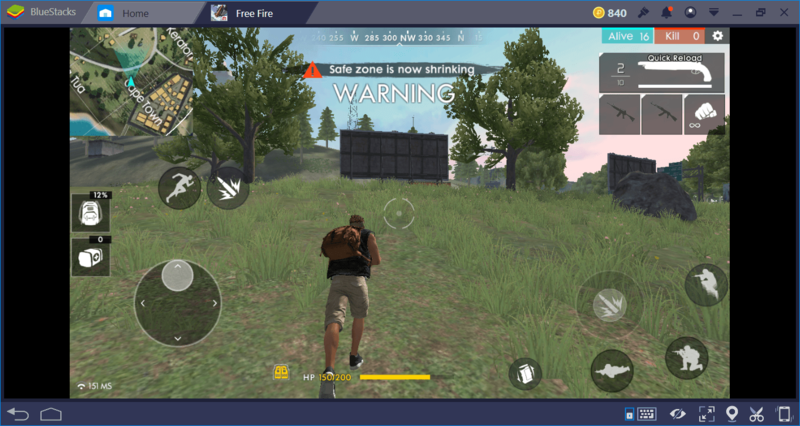 Buildings of Free Fire are unique: They do not have any doors. Unlike other Battle Royale games, there is no need to push a button to open doors. If you see a door, you won’t be able to open it, don’t bother. This feature is good because you can check the interior of a room without going in. Stay near a door and move your camera to check the inside. If you see another player, do not go in. Instead, go out and use the window of that room for a surprise attack. However, this feature is also bad because the same thing can happen to you. Always check your six while in a room and try to hide in corners. This means do not lay down right in front of a window: Anybody can see you from outside. Speaking of clearing rooms, do not forget that shotguns are the best weapon for this job. In general, weapons that you need to take aim (by clicking the right mouse button) to be able to shoot are not good for interiors. Shotguns, on the other hand, can be shot without taking aim and still hit the target. In closed areas, they are the best weapon. The safe zone circle can be used to your advantage, especially at this stage. During the end game, staying outside the safe zone will heavily damage you. However, you won’t die in a couple seconds. By using medkits and specific heroes, you can stay right outside the white circle and use it to spot other players. Let us elaborate: During this stage, most of the players prefer to stay inside the buildings and ambush other players, just like we suggested you to do. However, once the circle starts to shrink, they will start to run into the next safe zone. This means they can be easily spotted, especially if you stay right outside the new circle. The character named “Ford” is perfect for this strategy, since his ability is to take lower damage while outside the safe zone. In fact, a fully upgraded Ford takes 20% less damage. With the help of medkits, you can stay outside the circle long enough to spot other players and shoot them. A sniper rifle will be the best option for this tactic: Climb to some building that is high enough and patiently wait for your targets. Of course, you need to watch your health carefully. Sooner or later you must run inside the new zone too but before doing that, you can eliminate a couple targets. 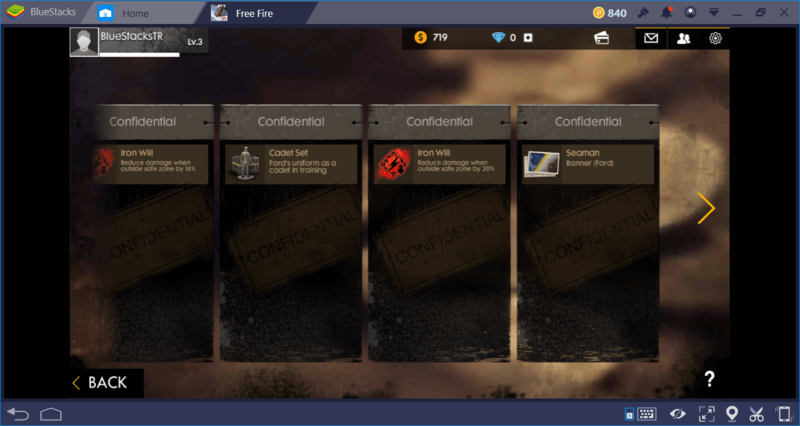 Remember that all of the tactics and recommendations above require BlueStacks to work as intended. 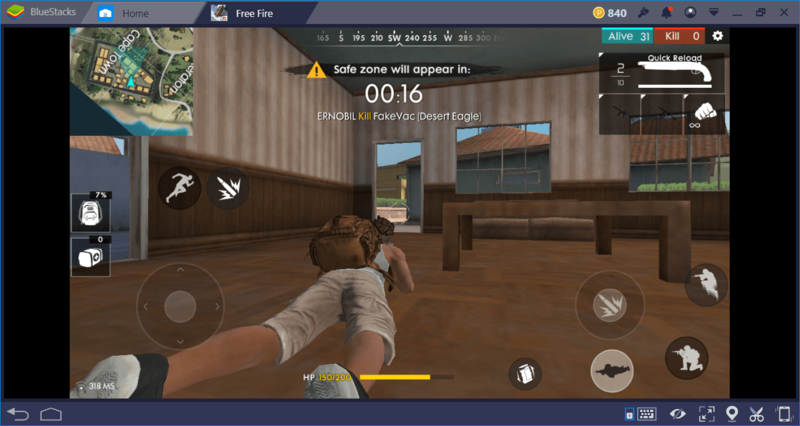 BlueStacks adds mouse and keyboard support to Free Fire, which means you can move and shoot more easily. 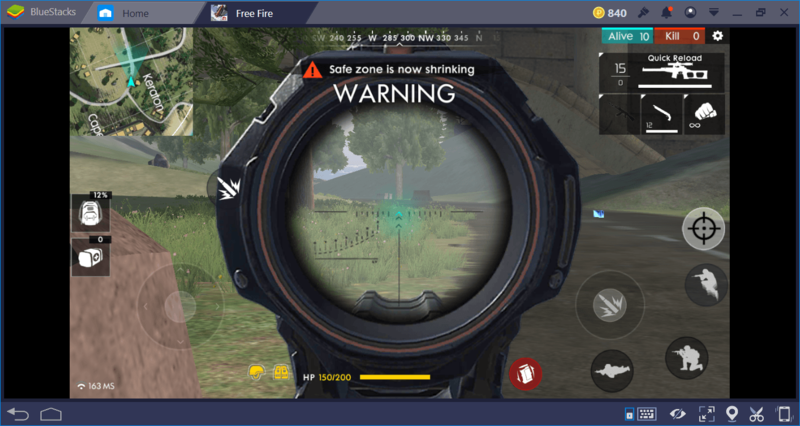 So here is your last tactic: Use BlueStacks and play Free Fire like any other Battle Royale game on your PC.